The exhibition of Kelly Wood’s The Continuous Garbage Project marks the completion of a long project. 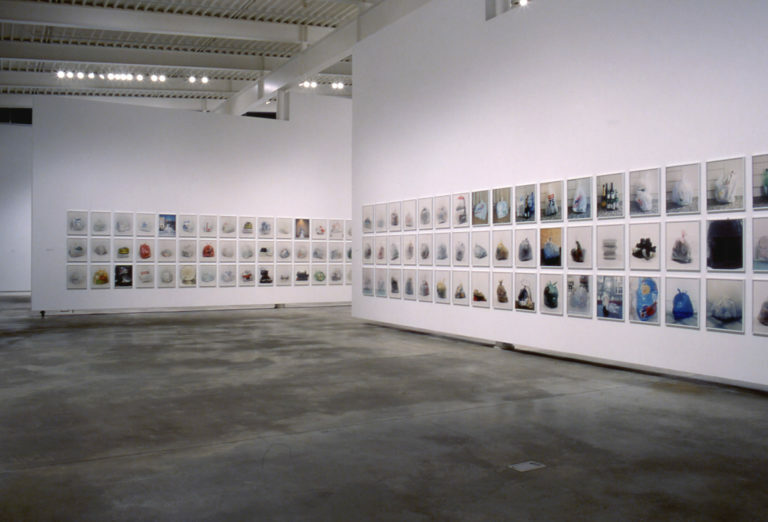 For five years, since Vancouver’s garbage workers’ strike in spring 1998 and concluding the week before the opening of this exhibition in 2003, Wood photographed her own garbage. The waste from Wood’s Vancouver home was neatly packaged and photographed against a studio backdrop, while the waste documented on her travels shows the objects wrapped or unwrapped in their immediate surroundings. The 275 images are clearly focussed, carefully composed and sumptuously printed. But The Continuous Garbage Project isn’t simply about the aestheticisation of waste. It also raises issues about environmental awareness, consumerism, labour, obsessive impulses and the viewer’s desire to engage in voyeuristic behaviour while scrupulously examining the contents through the semi-transparent plastic bags. In a conscious effort that changed her consumer habits, Wood managed to reduce the amount of waste she produces. This is the first opportunity to view the work in its entirety, portions of which have been previously been exhibited in St. Gallen, Switzerland; Toronto, Ontario; Vancouver; and at the University of Wisconsin in Milwaukee. The works are loaned from the National Gallery of Canada, the Art Gallery of Ontario and private collections in Europe. An illustrated catalogue including essays by Peter Culley, Christina Ritchie and the artist will be produced for The Continuous Garbage Project. We gratefully acknowledge the Canada Council for the Arts for their support. 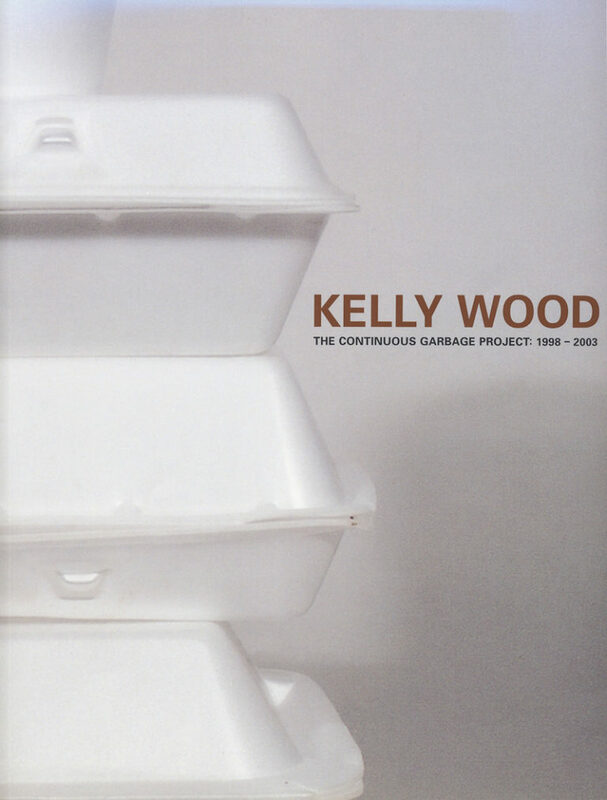 Kelly Wood, The Continuous Garbage Project, 1998-2003 (installation view). ISBN# 0-88865-626-2 — To order contact: belkin@interchange.ubc.ca, tel. 604.822.2759, fax. 604.822.6689.